Moyes' winter is over, but will LVG an everlasting summer? A year on from the abdication of Sir Alex Ferguson, Manchester United remain in a limbo. The much planned succession led not to an expected summer of triumph but to a ten-month long winter of turgid football, impotent crosses and Marouane Fellaini. Less than a year after a sacking at Old Trafford seemed unthinkable, the fans were as desperate for one as an addict seeking a hit. To rub salt into the gaping wound, Manchester City, the noisy neighbours, smugly conducted their own succession with the proficiency and serenity of seasoned footballing operators. So when news of Moyes’ sacking filtered through the twitter-verse, it seemed rays of sunlight were finally filtering through the oppressive clouds gathered over Salford. The Glazers finally realised that the the fans greatest fears of Moyes being dwarfed by such a gargantuan club had come horrifyingly and nightmarishly true. He was a child in a sweetshop, a man at the foot of Christ the Redeemer. Fearful, timid and overwhelmed. In hindsight, the Scotsman never stood a chance. And so after a wasted year, we come full circle again. The magnificent, but creaking, cruise-ship of Manchester United needed a captain up to the task of redirecting her safely away from the all-too threatening rocks of mid-table. The club needed a modern manager with the panache and guts to take on the job, and few will have been considered ahead of Louis Van Gaal. Enigmatic, belligerent, genius. All these cliches, and more, have been heaped upon the Dutchman. But what do we, the fans, expect and hope from the former Oranje man? What is immediately obvious is that the Glazers couldn’t have picked a man who was more the antithesis of Moyes if they tried. Where Moyes was obtuse and stubborn, sticking religiously to his solid 4-4-2, LVG adapts and innovates. Where Moyes was timid and nervous upon taking the job, LVG couldn’t hide his ego if he tried (which, of course, he wouldn’t). But, most importantly, where Moyes seemed to work one week at a time, LVG has the long-term master plan for success. If Moyes was the seaman desperately clinging to the tiller, navigating unexpected rocks desperately, LVG is a captain fully aware of where the waters might get rough. But how will the Dutchman’s plans materialise on the pitch? This summer has seen a fundamental shift in the spine of the team with an exodus of defensive stalwarts. To counter the panic that a defence marshalled by the erratic Phil Jones could spread, there have been rumours of United switching to five at the back, a growing trend amongst football’s fashionistas. In midfield, Ander Herrera becomes the first proper midfield signing since Queen Victoria was still on the throne, perhaps signalling that, perish the thought, LVG might finally be taking on the age old problem of United’s rickety midfield. Further up the field, Robin van Persie, Van Gaal’s pet student, is certain to play a central role, perhaps leaving Rooney to sulk around the edges yet again, while it’s not hard to believe Van Gaal will make Manchester United more watchable than they were under Moyes which, to be fair, is hardly an onerous challenge. However, whether we will be welcoming the rash, all out attack of the 2010 Bayern Munich vintage or the more restrained approach of the Holland World Cup team or a compromise between the two remains to be seen. Despite the changes and the optimism, with City, Barcelona, Chelsea and Real Madrid still gathering fresh, glittering jewels around them like insatiable magpies, immediate success is a little unlikely. What’s more there are several questions looming large in Van Gaal’s in-tray. Can he transform United’s insipid winger corps? Will Rooney revert to type and becoming a sulking teenager again? 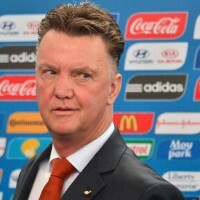 Will Van Gaal’s abrasive approach ultimately lead to United spontaneously combusting? These great unknowns remain dark clouds on the horizon. But they do not block the sun yet. 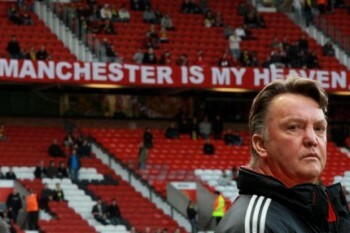 There is once again hope and excitement buzzing around Old Trafford. No-one can hazard a guess at what will come to pass this season, but there’s one thing every fan knows; it can’t be as bad as last year…can it?